History meets mystery is where it all began. The love of a great story or the endless wonder of where a special piece originated is the inspiration behind our store. But patina doesn’t need to be ancient or antique but that special something that stands out from the rest. When you visit our store you’ll find a curated collection of home, lifestyle and gift offerings that celebrate the beauty that the passage of time brings to the important things in your life. A bit of vintage combined with new and interesting character pieces; beautiful materials, local art offerings and juicy color palettes that are both timeless and fresh. Old World meets New World. 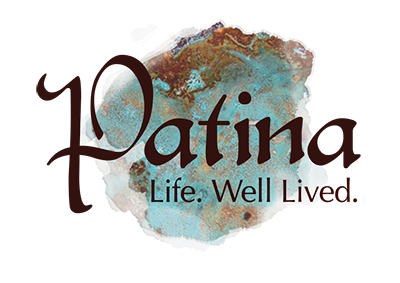 But Patina is more than just a store, it’s designed to be a place to meet and gather – from comfy sofas in the reading nook – to monthly events that are must attend happenings. From an evening showing of the work of a local artist – to a pajama party on any given day – you will be entertained and enjoy experiences that will ignite and inspire your senses upon every visit.